The long-awaited review of the Canadian "aerospace and space" sectors now has an announced head and an official timeline. 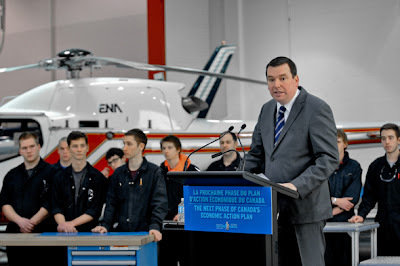 It is expected to be tabled with the Federal government before the end of the year, according to the February 27th, 2012 Montreal Gazette article "Aerospace Policy comes under review." The review will be headed by David Lee Emerson, the once controversial former Federal MP for Vancouver/ Kingsway who was was first elected as a Liberal in 2004 and served in the Paul Martin government as the Minister of Industry, but who then "crossed the floor" in 2006 to become the new Minister of International Trade in the Conservative Stephen Harper government. As discussed in my May 30th, 2011 post "Political "Reviews" Moving to the Forefront" the current review owes its genesis to a line item in the 2011 federal budget announcing a "review of aerospace policies and programs." A second review (the Jenkins panel, covered elsewhere in this blog and focused on the commercialization of Canadian research and development activities) was released in November 2011 to generally positive reviews. A third review (a military review of the 2008 Canada First Defense Strategy) seems to be still ongoing, although items relating to the procurement of F-35's and other military hardware, plus potential economic growth, job creation and international market access expected to be derived from these upcoming military purchases, will likely be addressed as part of the aerospace review. Industry Minister Christian Paradis announcing the aerospace and space review on February 27th. The full text of the ministers speech is available here. ... explore how government, industry and other key stakeholders can address the key issues facing the aerospace and space sectors, such as innovation, market access and development, skills development, procurement, and supplier development. The review is aligned with the government's plan to create jobs and promote economic growth across the country. According to the press release and accompanying documentation, the Aerospace Industries Association of Canada (AIAC) will play a "key role" in the review. The February 27th, 2012 Spaceref.ca article "Space Sector Gains Visibility as the Government Releases Details of the Review of Aerospace and Space Programs and Policies" provides a useful overview of the composition of the panel which includes Sandra Pupatello, the director of business development and global markets for PricewaterhouseCoopers; Jim Quick the President and CEO of the AIAC and Jacques Roy, the Director of the Department of Logistics and Operations Management at HEC Montreal. But the Spaceref article also implies that the panel mandate and even the revised panel name (it was initially an "aerospace" review but is now an "aerospace and space" review) suggests that the space sector could receive "increased visibility" and perhaps even special attention over the next few months. This seems a little optimistic so far and only time will tell if it's is a fair assessment of the situation. However, a promising sign is the Canadian Space Commerce Association (CSCA) 2012 National Conference on March 28th in Ottawa, Ontario where the AIAC (certainly a strong advocate of the review, as can be seen from their February 27th, 2012 press release "AIAC supports the nomination of David L. Emerson as head of the aerospace policies and programs review") has committed to sending a representative to provide and overview of the process and encourage Canadian space systems companies to contribute effectively to the review. The speaker line-up for the Canadian Space Commerce Association (CSCA) 2012 National Conference, scheduled for Wednesday March 28th at the National Arts Centre in Ottawa, is slowly coming together. Aerospace Industries Association of Canada (AIAC) VP Maryse Harvey and/ or CEO Jim Quick will be speaking on the topic of the upcoming Canadian government aerospace review and how Canadian space systems companies can have their voices included within the final report, which is expected to be presented to the federal government over the next year. Given that the conference occurs right after the potentially harsh March federal budget (which is presently assumed to include deep funding cuts to most departments), there is certainly the need for the space systems industry to understand and appropriately contribute to these sorts of public discussions. From Arjae Spectral Enterprises, Dr. Arsen Hajian will present on the topic of "The Sensei Spectrometer: Total Throughput Spectroscopy." Dr. Hajain and his company are typical of the current crop of small and innovative Canadian firms revolutionizing their market space and creating Canadian jobs through the introduction of advanced technology. Blakes Law Firm will be well represented by Cliff Sosnow, the chair of the International Trade and Investment Group who, along with associate David Peaker, will be presenting on the topic of "Canada's Corruption of Foreign Public Officials Act: What Canadian space companies need to know when doing business in foreign markets." 2012 Canadian Aeronautics and Space Institute President (and ComDev International VP of Government Relations) Ron Holdway will look back upon the government vision that first took Canada into space, explain the strategic role that space infrastructure plays in the delivery of public policy and review how space touches the daily lives of every Canadian. Canadian Air and Space Museum Director Robert Godwin (who also runs Apogee Books, the home of the History of Spaceflight Collection) will discuss how our critical Canadian space infrastructure also requires a knowledge of what has gone before, the appropriate background education and a sense of history. The Canadian Space Agency (CSA) has kindly provided Joan Harvey, the head of research & analysis, policy and external relations, who will be speaking on "the Status of the Canadian Space Sector." This talk is based on the the annual CSA status report (available online here) and will draw comparisons to other countries plus ask several "provocative questions" about the measures that industry and government should be taking to help incubate and grow the Canadian space systems sector. 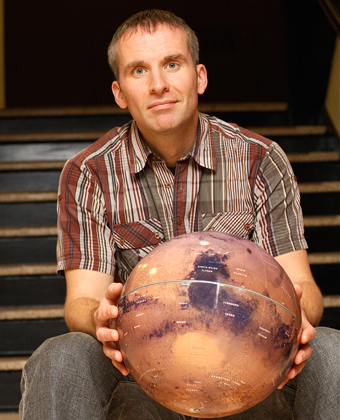 Canadian Space Society President Kevin Shortt will be discussing job opportunities for space science and engineering graduates in the Canadian space systems industry. The current student perspective seems to be that graduates need to leave the country to get a job and a public review of the concerns in this area is long overdue. Commercial SpaceFlight Federation (CSF) Executive Director Alex Saltman will present on "newspace" and some of the things being done to encourage the growth of small space focused firms in the US. The current CSF membership includes MacDonald Dettwiler (MDA), Virgin Galactic, Bigelow Aerospace, Space Adventures, Scaled Composites and most of the other emerging icons of the growing commercial space industry, so this will be one presentation that's well worth attending. 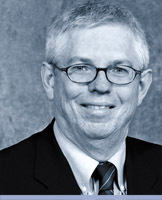 Law firm Heenan Blaikie will be represented by well known lawyer Michael Woods, a member of the firms trade and competition group, who'll be speaking on the topic of "Export Compliance - Canadian Business in a Changing Landscape." The presentation will focus on recent changes in the Controlled Goods Program (CGP) intended to reconcile Canadian regulations with the US International Traffic in Arms Regulations (ITAR) and how this reconciliation will effect international aerospace business transactions. International Astronautical Federation (IAF) Executive Director Dr. Christian Feichtinger will be talking on initiatives coming out of the European Space Agency (ESA) to build out aerospace infrastructure, develop original space focused entrepreneurs and how some of the lessons learned might be directly applicable for Canada. University of Toronto Institute of Aerospace Studies Space Flight Laboratory (UTIAS SFL) Project Manager Grant Bonin will be discussing the “Micro-exploration: Accomplishing Space Exploration on a Canadian Budget.” The UTIAS SFL is an expert organization which has a history of launching satellites for a fraction of the cost of the typical government program. The Natural Sciences and Engineering Research Council/ MacDonald Dettwiler/ Canadian Space Agency Industrial Research Chair in Planetary Geology at the University of Western Ontario, Dr. Gordon Osinski will be giving a presentation on Canadian government scientific grants and some expected (and helpful) upcoming changes. UrtheCast President Scott Larson will be telling people about how his Canadian company is launching the world's first HD video platform of planet Earth via two cameras mounted to the International Space Station (ISS). There will also be short presentations by various aerospace start-ups as part of the Start-Up Lift-Off segment, plus an end of day panel discussion on "our Critical Canadian Space Infrastructure" and several short, remote presentations on the Canadian Satellite Design Challenge and "Mining the Moon." In the interests of full disclosure, it's worth noting that I'm treasurer of the CSCA and one of the organizers of the event. But that doesn't matter. Attend anyway. 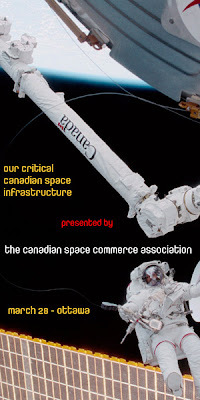 For more information and to register, check out http://spacecommerce.ca/events/2012-csca-conference-and-agm. 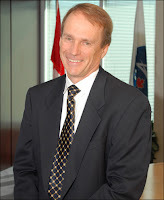 John Chapman is a busy, behind the scenes ex-mining executive and current advocate for Canadian space activities who I first profiled in the September 16th 2010 post "Canadian Companies Sponsor Satellite Designers." 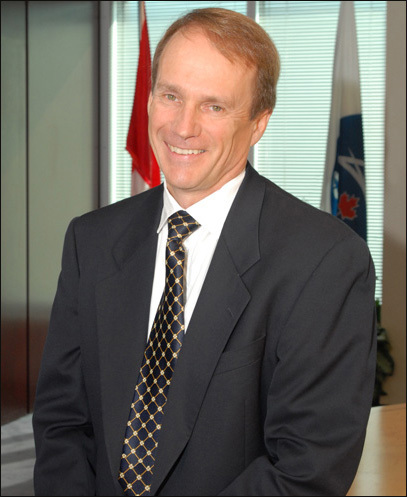 He's also been a strong advocate of funding space focused organizations though an extension of the tax credits presently provided to the Canadian mining industry, as outlined in my June 20th, 2010 article "Mining as a Model for the Commercial Space Industry." More recently, Chapman has been involved with the American Institute of Aeronautics and Astronautics (AIAA) San Fransisco chapter and presented at the February 8th, 2012 small payload tech talks on the topic of "Technology Opportunities Related to Mineral Exploration & Mine Operations on the Moon and Mars." 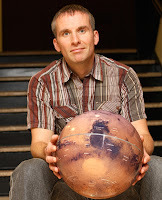 It's well worth checking out and a nice counterpoint to his earlier presentation on "Our Cosmic Journey: The Importance of Mineral Exploration, Discovery and Development" which was presented in October 2010 to the Royal Astronomical Society of Canada. But it's also worth noting that Chapman makes his presentation from the perspective of a "mechanic, welder and mining engineer" who, over a period of decades, also managed to turn himself into one of the largest mineral land owners in British Columbia. This reminds me just a little bit of other "crazy people" like another John Chapman (who they named the Canadian Space Agency headquarters after), or Albert Fia (who designed the first Black Brant rocket for Bristol Aerospace) or John Carmack (who founded Armadillo Aerospace) or Richard Branson (who owns Virgin Galactic) or Elon Musk (who founded Space Exploration Technologies) or even Guy Laliberté (the entrepreneur, philanthropist, poker player, space tourist and current CEO of Cirque du Soleil) who each used their time and efforts to help promote or build space focused business ventures. We should be encouraging these activities. For example, here's a recent Laurentian University presentation covering much the same topic. The Future In-Space Operations (FISO) website, which covers ideas for using National Aeronautics and Space Administration (NASA) technology for follow-on programs has posted the February 13th, 2012 presentation on "Space Servicing: The Future is Now" by Dan King, the Director of Orbital Robotics for MD Robotics, a division of BC based MacDonald Dettwiler (MDA). 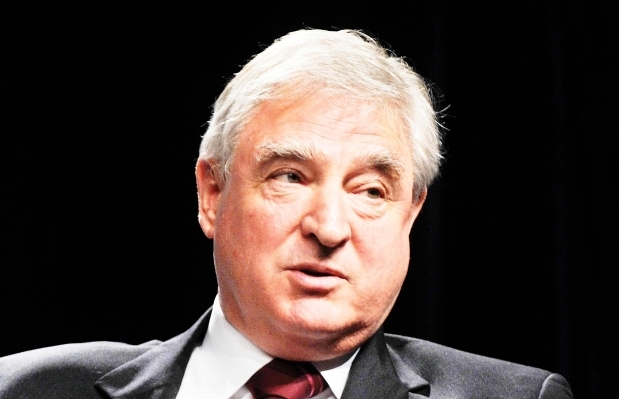 MDA considers geosynchronous satellites to be the initial market. 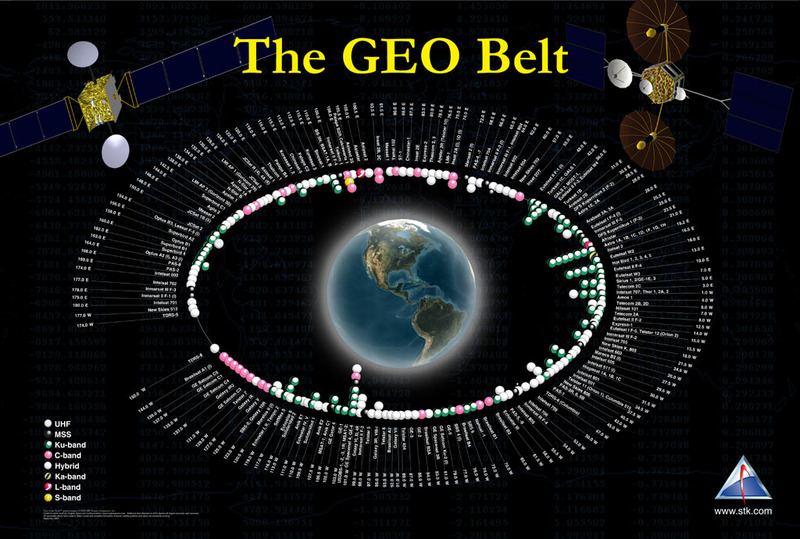 Owner operators of satellites in geosynchronous (GEO) orbit are considered to be the initial market for the product because "high value and high cost satellites are routinely de-commissioned when they run out of fuel or experience component failure" and "GEO operators regularly face significant capital replacement costs to maintain access to slots and grow revenues." 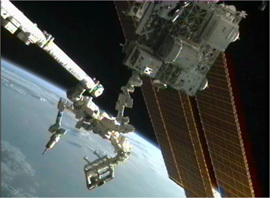 International Space Station (ISS) in September 2011. The MDA pricing model will enable satellite servicing in a cost effective and "insurable" manner, which would allow satellite operators to plan in advance for these expenses. Cost for refueling will be on a "per kg" basis and the system will work with a variety of satellite types and sizes using both mono-propellant and bi-propellant fuel. Refueling and servicing will be conducted quickly (within weeks) and with minimal impact to client satellite activities. Once completed, the refueled or repaired satellite could be operated independently from the on-orbit satellite servicer. Commercialization considerations for the program include the large up-front development costs, the customer perspective (while the need for the service is demonstrated, the typical satellite company has no interest in funding development costs) and the ability of the US government to define, enable or even distort the market through US defense policy considerations. As outlined in my November 11th, 2011 post "Will US Allow Canada to Bid On-Orbit Satellite Servicing Contracts?" there is much concern over whether or not the Canadian firm will be allowed to bid successfully on US government agency contracts such as the upcoming DARPA Phoenix program. This presentation provides some useful context for those concerns. According to the February 13th, 2012 press release on the University of British Columbia (UBC) website titled "More than 40 UBC researchers present leading Canadian research at global science conference" the UBC scientific community will be "out in full force" for the 2012 Annual Meeting of the American Association for the Advancement of Science (AAAS), for its upcoming 2012 National Conference, scheduled for Vancouver from February 16th-20th. Joining the UBC contingent will be thousands of other Canadian and international scientists, educators and their patrons from over fifty countries. 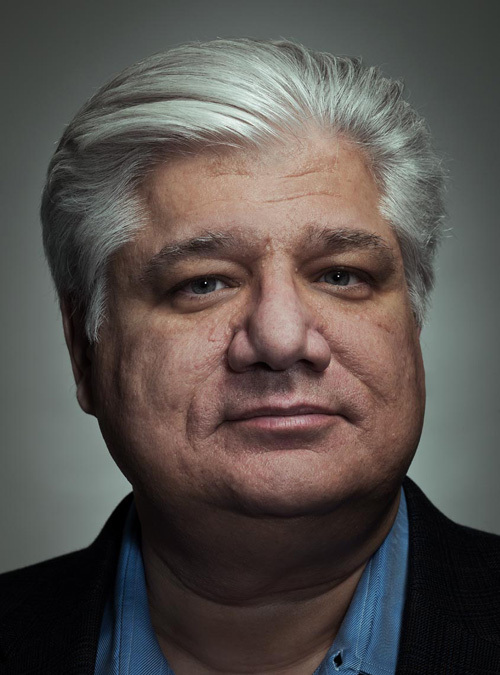 These include Mike Lazaridis, the founder and former co-CEO of Research In Motion (RIM), Canadian Space Agency (CSA) President Steve MacLean, Canadian Senator and neuroscience researcher Lillian Dyck, the vice-chancellors from both UBC and Simon Fraser University plus the director of the Perimeter Institute for Theoretical Physics. The theme of the event, according to AAAS President Nina V. Fedoroff in her Presidents Invitation, is "intended to focus the program on the complex, interconnected challenges of the 21st century and on pathways to global solutions through international, multidisciplinary efforts," which sounds less like science and more like activism, but fits in well with an organization dedicated to the advancement (read "advocacy") of the scientific method in general rather than the peer review of specific scientific papers. As part of that advocacy, the Canadian Science Writers Association (CSWA) is hosting its "Annual Party for Journalists Attending AAAS" on February 18th at the Canvas Lounge in Vancouver's historic Gastown district. The event is sponsored by Commuitech, a Waterloo, Ontario based tech incubator which acts as the implementation arm for various provincial and Federal commercialization and economic development programs. The event is free to all AAAS participating journalists and communicators, which is something to take note of when reading the news reports likely to come out of the event over the next little while. The International Traffic in Arms Regulations (ITAR), the United States government rules defining the export and import of defense-related articles (such as satellite technology) on the United States munitions list (USML), is the subject of two recent news stories with consequences for Canada. A chart showing the worldwide share of satellite exports among major nations in 1995 and 2005 from "Competing for Space: Satellite Export Policy and U.S. National Security." The first, as outlined in the February 12th, 2012 Parabolic Arc article "AIA: Satellite Export Rules Have Cost $20.8 Billion, Quarter Million Jobs" is that these restrictive export laws "have devastated the US satellite manufacturing industry and led to a loss of $20.8 billion in revenues and nearly 28,000 jobs annually over a 10-year period." 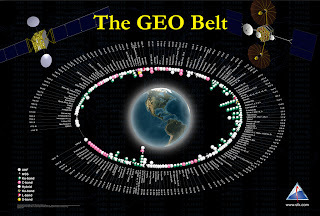 The conclusions are part of the January 2012 report from the Aerospace Industries Association titled "Competing for Space: Satellite Export Policy and US National Security" which has been making the rounds of space focused news services over the last few weeks. Of course, the jobs lost and the revenue shortfalls were never the core of what these rules were intended to regulate. For that, we need to look at the February 10th, 2012 Reuters article "Exclusive: U.S. squeezes French-led satellite maker over China" which reports that "the United States has threatened action that could disrupt a French-led satellite maker's supply chain, spurred by suspicion that it illegally used U.S. know-how or parts in spacecraft launched by Chinese rockets." According to the Reuters article, the US threat is part of a "multi-year push for details on the design and components" of a telecommunications satellite that prime contractor Thales Alenia Space has labeled as free of US parts "and therefore exempt from U.S. export controls." The Eutelsat W3C satellite, based on the Thales Spacebus 4000 platform and launched aboard a Long March 3B rocket from the Xichang Satellite Launch Centre in October 2011. Unfortunately for Thales, the US disagrees and considers the satellite under discussion (a Spacebus 4000C2) as being derived from earlier versions (the Spacebus 100 - 4000B models) built using US derived knowledge and/or parts, which therefore make the current versions subject to ITAR. The US is pushing for further details into the design and components used by Thales in order to confirm that ITAR regulations weren't breached. Of course, its always difficult to prove that something "didn't" happen and that's why this issue is likely going to drag on for quite some time. For Canadians, the ITAR regulations are initially not that onerous when selling into the US, although it is an added level of expense and could be perceived (as outlined in my November 28th, 2011 article "Is The Space Industry Really 'Uniting in Criticism over ITAR?'") as being a barrier to trade, especially for smaller companies. The problem for Canada occurs when a Canadian company decides it needs to find a US parts supplier. That seems to require a never-ending string of ITAR paperwork for each and every US supplier & partner. The paperwork normally delays programs because US companies simply can't exchange useful information with Canadian space systems companies until a US State Department export agreement is in place, which is a process that can take several months. Which is why Canadian aerospace and satellite companies don't generally source parts from the US. But its far worse for the Americans. 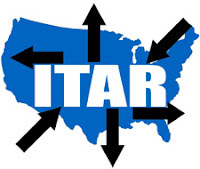 Many small US companies simply will not deal with Canadians (for foreigners in general) because they are too small to have any ITAR trained people on staff and too well aware of the near limitless penalties ITAR can impose on every individual who may have contravened the exceptionally vague wording of the ITAR regulations. While Thales can afford these delays (and is often supported by the French government), smaller firms without the support of national governments (and this includes any US firm presently selling into the Thales supply chain) are likely not able to take the chance. So the small US companies don't sell products on the international market and generally stay small. This simple fact goes a long way towards explaining why certain categories of US job losses are caused by ITAR regulations and how the current problems between Thales and the US government inhibit small firms from exporting their satellite products or selling to anyone who isn't American. Perhaps the upcoming and expected reconciliation between ITAR and the Canadian Controlled Goods Program (CGP) will address these issues, at least for Canada, or perhaps not. 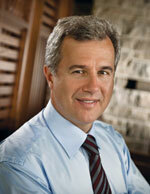 The problem seems not to matter to Canadian business since we can always go elsewhere for our subcontractors. After all, its the US that's cutting off its nose to spite the face. ...a phrase used to describe the process of creating three dimensional objects from digital file using a materials printer, in a manner similar to printing images on paper. The term is most closely associated with additive manufacturing technology, where an object is created by laying down successive layers of material. The technology originated in the rapid prototyping of custom components where speed and convenience were valued over the high manufacturing costs. However, those costs have dropped dramatically over the last decade and this has led to the growing use of 3D printers in production manufacturing. Here's a recent CTV News story, focused on a Canadian example. Virtually any raw materials can be used to manufacture components from 3D printers. For example, the February 7th, 2012 Sydney Morning Herald article "3D printing: saviour or piracy tool" discusses EOS Germany, which builds 3D printers "able to create metal objects as robust as cast parts, and often as strong as forged parts" which, at the very least, suggests new business models for the auto parts industry. The article also mentions transplanting a jaw bone produced by a 3D printer and how custom items could be printed from precious metals and other materials for a fraction of the typical cost. In essence, virtually anything physical could be copied for use in much the same way as audio, video or other information is currently duplicated. The January 24th, 2012 ZDNet Australia article "Pirate Bay to allow real-object downloads" reports on those concerns among copyright experts and on the recent decision by the notorious file sharing website to host a public repository for the mock-up files and designs which 3D printers use as templates in order to create physical objects. The February 3rd, 2012 FastCo Design article "No Joke: These Guys Created A Machine For Printing Houses On The Moon" discusses the use of a technique called "contour crafting" which is essentially a variation of the 3D printing technology, to build structures for humans on the Moon. According to the article, Moon rock is surprisingly similar to concrete and would make a suitable material for buildings. 3D printers are not only useful for construction projects on planetary surfaces. Made in Space, a small manufacturing start-up has even tested 3D printers in "partial" zero gravity according to this July 28th, 2011 post on the company website. The company has been profiled in a variety of media outlets including Popular Mechanics (the December 11th, 2010 article "Orbiting 3D Printers Could Print out New Space Stations") and MSNBC (the December 11th, 2010 article "Print your own space station in orbit"). According to the January 23rd, 2012 Hosted Payloads article "DARPA Eyes Hosted Payloads to Re-Use In-Orbit Antennas," the US Department of Defense (DOD) is "seeking assistance from the space industry to address a host of technical challenges that must be overcome to salvage antennas and other components on board defunct satellites." While some of these technologies would be salvaged for direct re-use and this would be the prime driving component of this initiative, other components could certainly be collected and used as raw material for 3D printers making new components. Canadian organizations with some expertise in 3D printing include Toronto based HackLab TO, the Kitchener based Kwartzlab Makerspace, the Vaughn based Proto3000 (which provides services to industry) and the Nova Scotia Community College Waterfront Campus. There is also a design team in Winnipeg building a "two-passenger hybrid car designed to be incredibly fuel efficient, easy to repair, safe to drive, and inexpensive to own" using parts constructed in a 3D printer, according to their website at Urbee: A Natural Way to Drive. Expect more of these small little firms and collectives to spring up over the next little while. Among other things, they are part of our upcoming next industrial revolution. The January 27th, 2012 post on the Aerospace Industries Association of Canada (AIAC) website titled "AIAC seeking VP Policy and Competitiveness" makes it clear that the AIAC is "seeking a high-energy professional and motivated team player to act as Vice President of Policy and Competitiveness." This would seem to be a setback for the expected review of Canadian aerospace policies as outlined in the November 3rd, 2011 Canadian Press article "Feds say review of Canada's aerospace policies will start, finish in 2012," which quoted then AIAC vice-chairman (now chairman) David Schellenberg as stating that he "expects to know the identity of the project leader within weeks" and Federal Industry Minister Christian Paradis as stating the review is expected to be completed "by the end of the year." But according to AIAC VP of public affairs Maryse Harvey, the current gap in manpower will not prevent AIAC from moving forward with the review. In a phone conversation last Thursday, Harvey committed to having an AIAC representative give a presentation on the terms and conditions of the review at the upcoming Canadian Space Commerce Association (CSCA) 2012 National Conference, being held in Ottawa on March 28th. According to Harvey, the organization is looking for participation from all areas of both the "aero" and the "space" community and is looking for forums to help get their message out. As outlined in my March 28th, 2011 post "The Difference Between 'Aviation' and 'Space.'" the two industries are often subject to different influences with our domestic aviation industry essentially defined and driven by access to international markets and the number of domestic jobs created while the much smaller Canadian space systems sector is more or less perceived of as being "governed" by Industry Canada pronouncements on science & technology. So it will be interesting to see how AIAC goes about reconciling those different influences and contradictory perceptions over the next year. As for hiring someone as VP of policy and competitiveness, Harvey says that the AIAC is looking for a generalist who is "intellectually curious and with a policy kind of mindset" who can translate complex government policy pronouncements into "something our members and other stakeholders can easily understand." Interested parties should consider applying on the AIAC website.